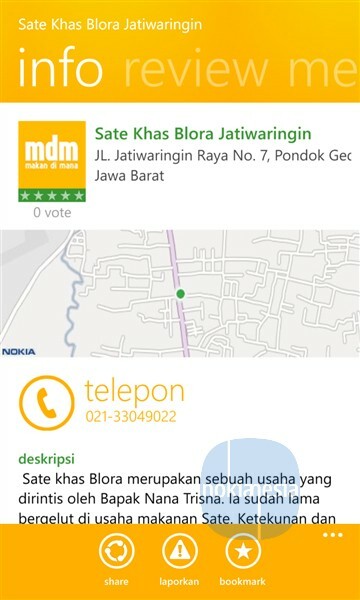 Detikfood by Detikcom one of the largest news portal in Indonesia release their 2 new applications for Nokia Lumia with Windows Phone 8 & for all Windows Phone 8 devices, there are "Masak Apa" and "Makan Di Mana" mobile application. 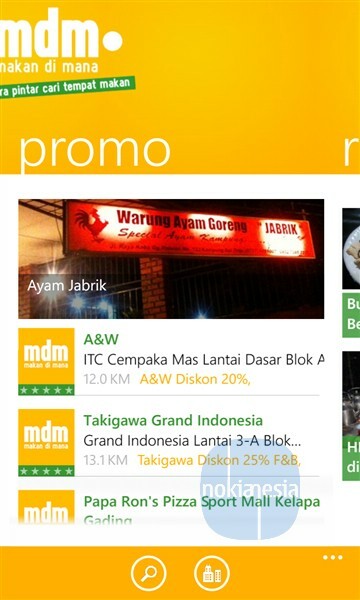 Grab the applications for free on Windows Phone Store now, and let's start to find some food recipes & the best place for lunch or dinner. 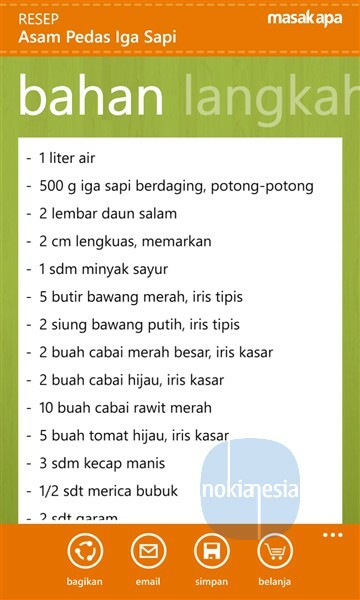 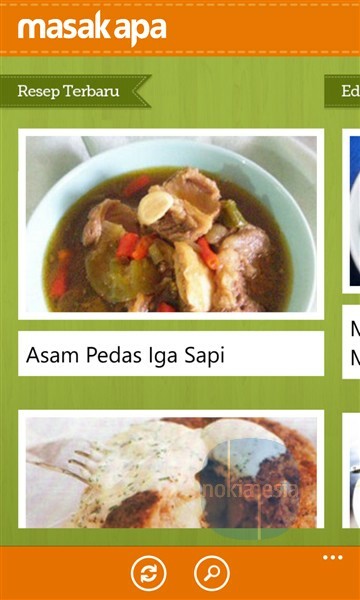 "Masak Apa" is an application from detikfood.com to find some food recipes directly from your Nokia Lumia with Windows Phone 8. 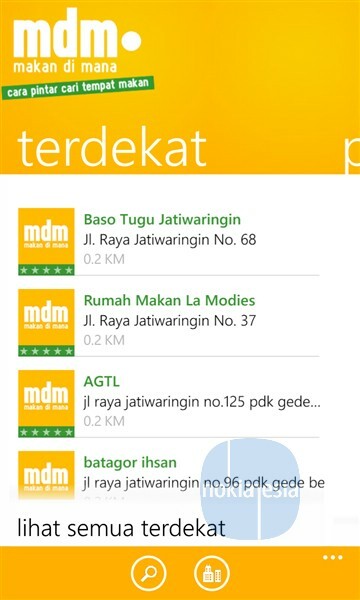 You can download every editions from this mobile application for offline reading. 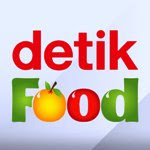 You can also watch some cooking videos, add to your favorite and add to shopping basket. 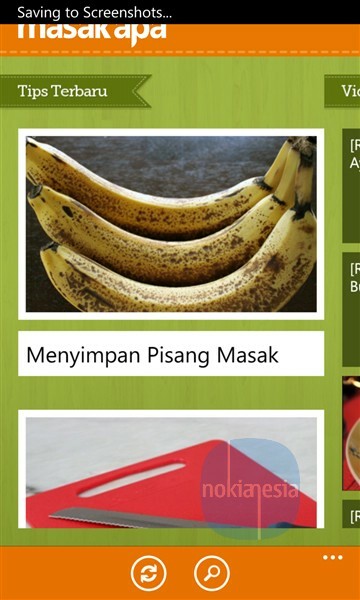 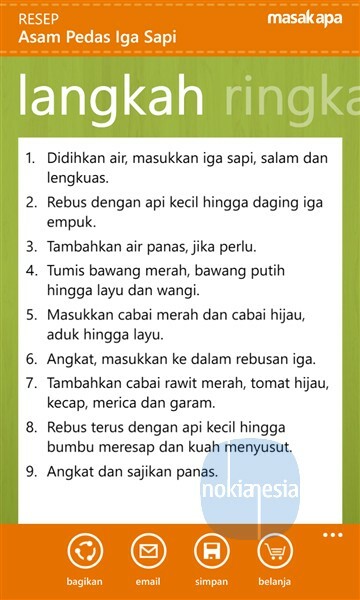 This application is using Bahasa Indonesia, no language option available. 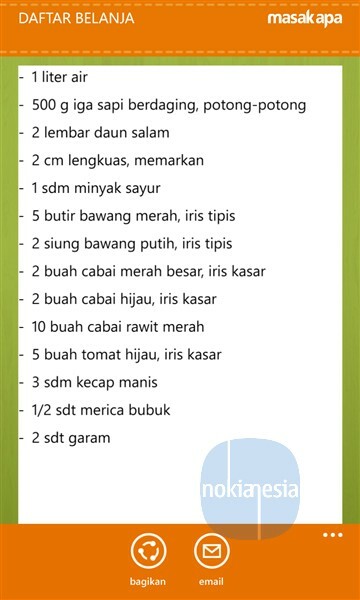 Offline reading for "recipe edition"
Too lazy to cook some foods? 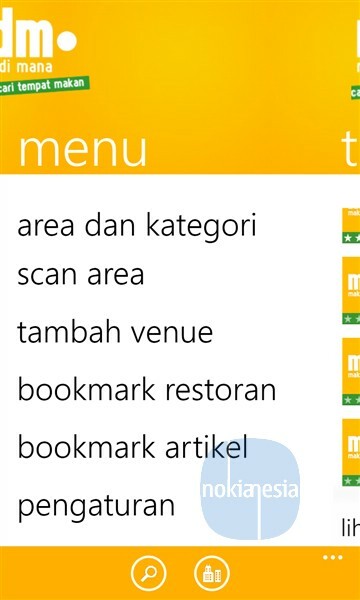 Let's try to find some restaurant, food stalls or cafes near you with "Makan Di Mana" mobile application. 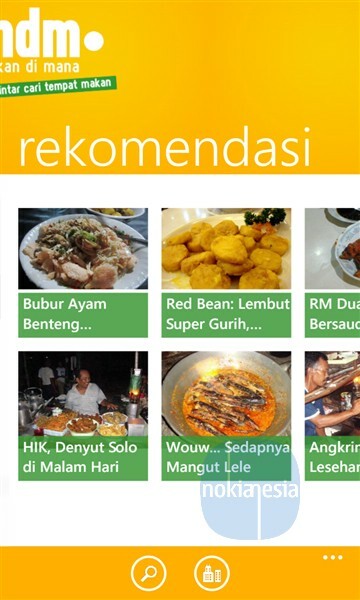 "Makan Di Mana" mobile application will guide you to find recommended places to eat. 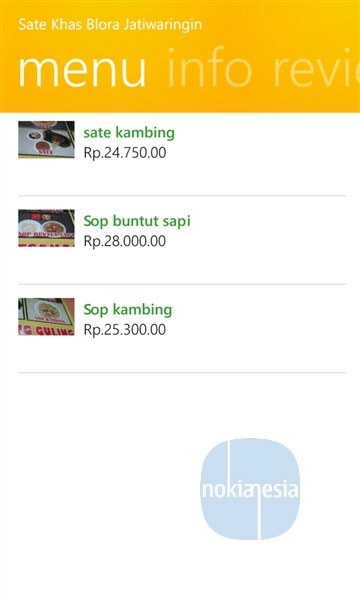 Completed with some cool features such as restaurant info, menu, promo and Live View with Augmented Reality feature, this application is suitable for your guide to find local restaurant near you.